Ryan Fogarty's new short play, Plover, directed by Ben Randle, will be presented as part of the Samuel French Off Off Broadway Short Play Festival. The Samuel French Off Off Broadway Short Play Festival (OOB) is the nation’s leading short play festival. Beyond playwrights, the Festival has given voice to many emerging directors, performers, and production companies. This year festival will take place at The Vineyard's Dimson 15th Street Theatre. Plover will be presented the second evening of the festival, Tuesday, August 21 at 8:30pm. Casting for Plover to be announced. More information and tickets available on Samuel French's website. Cast and Creative team have been announced for the New Conservatory Theatre Center's world premiere of warplay by JC Lee, directed by NCTC Artistic Associate Ben Randle, playing June 2 - July 2, 2017.
warplay will star Ed Berkeley as A, a young version of the mythic character Achilles, and JD Scalzo as P, a version of a young Patroclus. warplay will feature scenic design by Devin Kasper, costume design by Miriam Lewis, lighting design by Christian V. Mejia, sound design by Theodore J. H. Hulsker, prop design by Adeline Smith, fight direction by Will Springhorn, Jr., stage management by Kaitlin Rosen. For tickets and more information, visit NCTC's website. This November, New Conservatory Theatre Center presents the SF Bay Area regional premiere of Stephen Karam's Pulitzer Prize Finalist Sons of the Prophet to be directed by NCTC Artistic Associate Ben Randle, as part of its 2016-2017 Season, which also marks the company's 35th Anniversary. Karam, who recently won the Tony Award for his play The Humans, was named a Pulitzer Prize Finalist for Sons of the Prophet, his refreshingly honest take on how we cope with wounds that just won’t heal. If to live is to suffer, then Joseph Douaihy is more alive than most. With unexplained chronic pain and the fate of his reeling family on his shoulders, Joseph's health, sanity, and insurance premium are on the line. Sons of the Prophet is the funniest play about human suffering you'll ever see. Karam’s award-winning play premiered to acclaim at Boston’s Huntington Theatre Company in 2011, and later that year transferred Off-Broadway to Roundabout Theatre Company. In addition to its Pulitzer honors, it received Best Play awards from New York Drama Critics Circle, Lucille Lortel Awards, and Outer Critics Circle Awards, hailing the discovery of an “important playwright in Stephen Karam” (New York Magazine). Sons of the Prophet runs November 11 – December 18, 2016. Tickets are $25–50 and available at nctcsf.org or by calling (415) 861-8972. The cast of Sons of the Prophet features Donald Currie, Nancy French, Stephen Kanaski, Eric Kerr, Cheryl Smith, JD Scalzo, Marcus Drew Steele, and Loralee Windsor. The creative team of Sons of the Prophet includes scenic design by Devin Kasper, costume design by Jorge R. Hernandez, lighting design by Virginia Herbert, sound design by Sara Witsch, prop design by Daniel Yelen, and stage management by Kaitlin Rosen. Eric Kerr. Photo by Lois Tema. 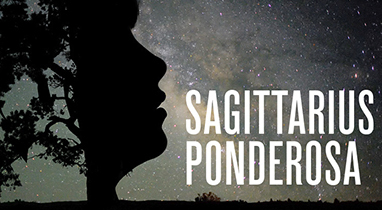 New Conservatory Theatre Center presents the world premiere of the award-winning new play, Sagittarius Ponderosa, by MJ Kaufman, directed by Ben Randle. Opening January 30th, the play runs through February 28th. Matthew Hannon, SK Kerastas. Photo by Lois Tema. Sagittarius Ponderosa won the 2013 Global Age Project at Aurora Theatre Company, and was featured on The Kilroys List 2015, a list made of the top most-recommended new plays by female and trans* authors. The premiere was named an Editor's Pick in Theatre Bay Area, calling the new play "Quietly magical ... An original, intelligent, refreshingly open-hearted winter wonderland." Press notes describe the play: "Shortly after Archer (still Angela to his family) makes the journey back home to the forests of Eastern Oregon, he meets a handsome stranger at night under the oldest Ponderosa Pine. What follows in this whimsical and powerful new play illuminates the transitions of life and death, the comings and goings of love, and the mysteries of the human heart." The cast features SK Kerastas, Andy Collins, Janis DeLucia, Michaeala Greeley, and Matthew Hannon. The production's design team includes Scenic Design by Christian Mejia, Costume Design by Miriam Lewis, Lighting Design by Anthony Powers, Sound Design by James Ard, Puppet Design by Dave Haaz-Baroque and Prop Design by Adeline Smith. MJ Kaufman is a playwright whose work has been seen at the Huntington Theatre, New York Theater Workshop, Yale School of Drama, Bay Area Playwrights Festival, Clubbed Thumb, New Georges, Aurora Theater, Crowded Fire, Fresh Ink Theatre, New Harmony Project and performed in Russian in Moscow. They have received awards and commissions from the Program for Women in Theater, the Playwrights Foundation, the National Foundation for Advancement in the Arts, Young Playwrights Inc., and the Huntington Theatre, where they are also a playwriting fellow. MJ received the 2013 ASCAP Cole Porter Prize in Playwriting, the 2013 Global Age Project Prize, and the 2010 Jane Chambers Prize in Feminist Theatre. MJ is currently a member of the Clubbed Thumb Emerging Writers Group, The Falcons, an Audrey Resident at New Georges and a Resident Artist at The Drama League. Originally from Portland, Oregon, MJ attended Wesleyan University and recently received an MFA in playwriting from the Yale School of Drama. As part of its 15/16 season, New Conservatory Theatre Center will present the world premiere of Sagittarius Ponderosa, the award-winning new play by MJ Kaufman, to be directed by NCTC Artistic Associate Ben Randle. 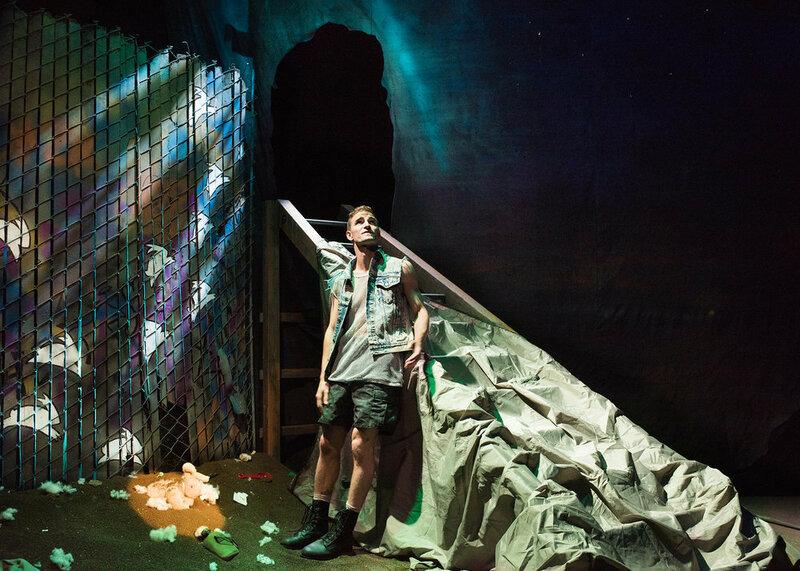 Sagittarius Ponderosa won the 2013 Global Age Project at Aurora Theatre Company, as well as The Kilroys The List 2015, a list made by a group of LA playwrights and producers marking the top most-recommended new plays by female and trans* authors. Press notes describe the play: "Archer (still Angela to his family) returns home to the forests of eastern Oregon to care for his dying father. At night under the oldest Ponderosa Pine, he meets a stranger who knows the history of the forests. In this powerful and whimsical new play, what first appears expected expands to reveal the connections between the roots beneath our feet, the stars in the sky, and the mysteries of the human heart." The production's design team includes Scenic & Lighting Design by Christian Mejia, Costume Design by Miriam Lewis, and Prop Design by Adeline Smith. Additional design team and casting yet to be announced. Tickets on sale now on NCTC's website. Douglas Morrison Theatre presents a new production of Hank Williams: Lost Highway, the popular biomusical based on the life and music of Hank Williams, by Randal Myler & Mark Herelik, directed by Ben Randle, with musical direction by Olive Mitra. Lost Highway plays through April 26th at DMT in Hayward, CA. "What makes Lost Highway so unique, though, is that it is more than simply a musical revue," says Randle in Lost Highway's program Director's Note. "By turns a musical celebration, a radio play and musical biography, a poetic dramatization of his life’s influences and failings, Lost Highway searches for the elusive man behind the American myth. And in doing so, uncovers a lot about both the man and the country." Lost Highway stars Kevin Singer (Assasins at Shotgun Players; Sweeney Todd, Yeast Nation at Ray of Light Theatre) as Hank Williams and Sarah Coykendall (Bread & Circuses, Troilus and Cressida at Impact Theatre) as his wife, Audrey. The cast also features Sarah Mitchell, Tom Reardon, Dwight Mahabir, Rebecca Faiola, as well as Kyle O'Brien on fiddle and mandolin, James Touzel on bass, Dylan Collins on electric guitar, and Paul Chianese on lap steel and steel guitar. The Lost Highway creative team features Scenic Design by Liliana Duque Pineiro, Costume Design by Valera Coble, Lighting Design by Allen Willner, Sound Design by Lawton Lovely. Aurora’s international forward-looking playwriting festival, Global Age Project (GAP), has announced the prize-winners for this year's festival.GAP culminates in a series of FREE play readings, including a reading of Pulitzer-Prize finalist Kristoffer Diaz's new play, #therevolution, directed by Ben Randle. Each GAP reading will be followed by an audience discussion of the contemporary issues raised in the work. Kristoffer Diaz is a playwright and educator living and working in Brooklyn. Full length titles include The Elaborate Entrance of Chad Deity (produced at Aurora in 2012), Welcome to Arroyo’s, and #therevolution. Awards: 2011 New York Times Outstanding Playwright Award; finalist for the 2010 Pulitzer Prize for Drama; winner, 2011 Lucille Lortel Award for Outstanding Play; winner, 2011 OBIE Award, Best New American Play; and the inaugural Gail Merrifield Papp Fellowship from The Public Theater (2011). His work has been produced, commissioned, and developed at The Public Theater, Dallas Theater Center, Geffen Playhouse, Center Theatre Group, The Goodman, Second Stage, Victory Gardens, Oregon Shakespeare Festival, and Actors Theatre of Louisville, among many others. Open seating; doors open at 7pm. Make a $25 donation to the festival to reserve a seat for one performance. $100 reserves a seat for each play. Playwrights Foundation and The New York One-Minute Play Festival present the Fourth-Annual San Francisco One-Minute Play Festival December 14th and 15th at The Thick House Theater, in San Francisco. The 4th Annual SF OMPF features brand new 90 one-minute plays by 52 of the Bay Area's growing talent pool of exceptional contemporary writers, among them are some of the most important artistic voices in the nation. The full 2013 roster of playwrights whose work will be featured in the festival are Trevor Allen, Tim Bauer, William Bivins, Erin M. Bregman, Eugenie Chan, Chris Chen, Victoria Chong Der, Anthony Clarvoe, Megan Cohen, Bennett Fisher, Elizabeth Gjelten, Garret Jon Groenveld, Lauren Gunderson, Daniel Heath, Robert Henry Johnson, Lynne Kaufman, Jeffrey Lo, Aaron Loeb, Jonathan Luskin, Katie May, Patricia Milton, Marisela Treviño Orta, David Perez, Evelyn Jean Pine, Kenn Rabin, Geetha Reddy+, Kate E. Ryan+, Steven M. Salzman, Marissa Skudlarek, Jonathan Spector, Aimee Suzara, Brian Thorstenson, Arisa White, Ignacio Zulueta, Andrew Saito+, Tom Swift, Alison Luterman, A-Lan Holt, Roberta D’Alois, Carol Lashof, E.H. Benedict, Britney Fraiser, Inbal Kashtan, Blake Aarens, Robin Lynn Rodriguez, Elizabeth Spreen, Madeline Mahrer, Amelia Bethel, Abi Basch, Nick Mwaluko, Dara Silverman & Braden Marks. Performances are Saturday, December 14 at 8pm, and Sunday, December 15th at 3pm and 8pm. The Thick House Theater is located at 1695 18th Street, SF on Potrero Hill. UPDATE: Michelle Jasso won the Bay Area Critics Circle Award for Best Featured Actress in a Musical (100-300 seats) for her portrayal of Beggar Woman/Lucy in Ray of Light's production of Sweeney Todd. The Bay Area Critics Circle released their nominations for "Outstanding Achievement in Bay Area Theatre during 2012" and Ray of Light Theatre's production of Stephen Sondheim and Hugh Wheeler's Sweeney Todd, directed by Ben Randle, received 6 nominations. In the Musical Category for theaters with 100-300 seats, Sweeney Todd received nods for Best Ensemble; Adam Campbell for Best Principal Actor in a Musical; Shelley Crowley for Best Principal Actress in a Musical; Michelle Jasso for Best Featured Actress in a Musical; Maya Linke for Best Set Design; Robbie Cowan for Best Musical Direction. The awards will be given out at a reception Monday, May 6, 2012 at The California Ballroom, 1736 Franklin St., Oakland CA.